When people picture crazed animal lovers with one too many pets, they think of crazy cat ladies living among a harem of tabbies, calicos, and shorthairs. Through the wider scope of the world, however, there are much scarier aspects of animal obsession than just becoming a spinster with one too many cats. In fact, the crazy pet stories you’re about to read would make your everyday cat lady look downright tame. From weird animals to extreme pet hoarding, from overspending to under-supervising, these non-traditional pet owners are sure to keep you on the edge of your seat. What qualifies as crazier than the cat lady? How about snuggling up beside a tutu-donning alligator, napping with a polar bear, or keeping a man-eating snake in the same house as your 10 year old? While some of these pets might be cute, they all have their own crazy - and sometimes deadly - downsides. These insane pet choices will make you appreciate your dog or cat even more than you already do. Adam and Heather Hewitt reside in some pretty peculiar quarters. 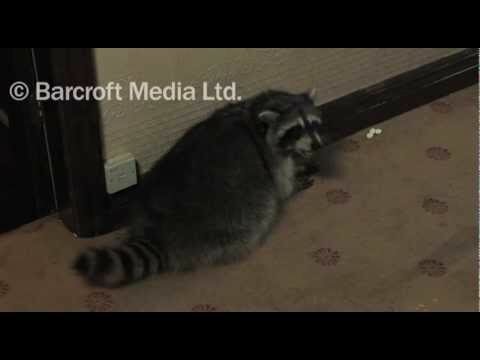 Their abode is currently the residence of man eating snakes, poisonous spiders, raccoons, skunks, lizards, snakes, and oh yeah - their three children. Since making the decision to provide a home for unwanted and abandoned exotic pets, they’ve been rushed to the emergency room on more than one occasion due to pet-related incidents. While many (sane) people would be deterred by these mishaps, this is just another day in the life at the Hewitt house. As if managing death defying stunt artist and motorcycle hall of famer, Evil Knievel wasn't enough, his ex-manager decided to take wild one step further. Jeff Lowe said that during the course of managing the legend’s fantastical career, some of the risk taking rubbed off. 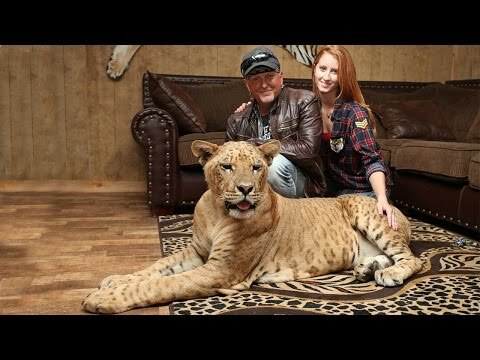 Today, Jeff Lowe is famous in his own right, because he owns more than 200 ferocious lions and tigers, whom he keeps in his secluded cabin in the woods. GGMR - or Gotta Get More Rats - could be the most curious case of illness seen in quite some time. And no, this isn't something we made up, it's a moniker thought up by people in the rat loving community who are addicted to rats. The woman in the video above maintains a household complete with 19 long tailed rodents otherwise known as rats. When she’s not busy “huffing” her pets (a word she uses to describe pressing the rodents against her nose and mouth and deeply inhaling their scent into her lungs) she’s studying their personalities in order to cater to their every whim. The crazy pet lifestyle she’s living has put quite a burden on her marriage since Chantal has decided to move into a separate apartment away from her husband in order to create space for more rodents. If you never met the double breasted shearling-clad IKEA monkey from the video above, then prepare for a shocker in fashion and lifestyle. 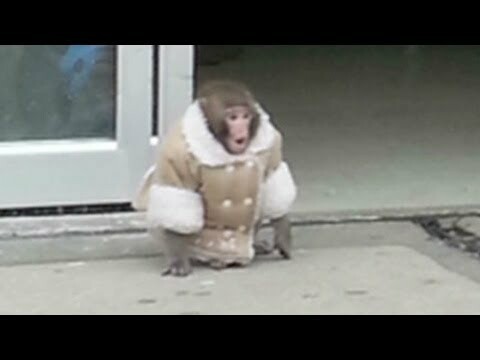 Better known as the "IKEA Monkey," the macaque monkey whose real name is Darwin, was originally owned by Yasmin Nakhuda. Darwin made headlines after a photo of him at IKEA went viral. Darwin was removed from Nakhuda's custody after the incident, but that didn't stop her. She retaliated by purchasing two more monkeys, whom we assume she is also dressing to the nines. Unlike other pet owners though, Yasmin believes that monkeys are genuinely human and refutes the notion that they could ever be hostile, or anything other than “her children” for that matter.